The Edinburgh University dates back to 1582 and is one of the oldest Universities of the city. The University owns an ancient building, the Old College, which dates back to 18th or 19th century. Today the Old College is the central building of the University. However this building once housed the entire university. Robert Adam is said to be the designer for a part of the Old College. William Playfair is credited with having completed the design on the rest of the building. The attractive dome to the building was added by Robert Rowand Anderson in 1877. The Old College of the University is well known for its splendid architecture. Its interiors boast of one of the finest public rooms in Scotland. Nowadays the building houses the Faculty of Law, the University's Art Gallery and part of the administration. The New College is situated on the Mound overlooking the Princess Street. Besides, the University of Edinburgh also has a blend of old and new buildings around George Square, Bristo Square and Teviot Place which includes Arts, Music, Social Sciences, central Medical, and Students' Association buildings as well as the McEwan Graduation Hall. In addition, the University is responsible for a number of historic and modern buildings across the City. These include the 18th century St Cecilia's Concert Hall and the 17th-century Mylne's Court student residence, which stands at the head of Edinburgh's Royal Mile. The University of Edinburgh has retained its distinctly Scottish character but has established a reputation of a world university. 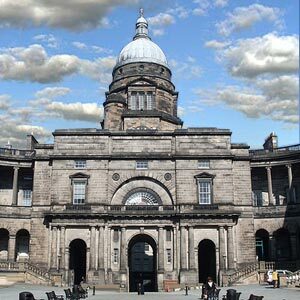 With a student population of about 20,000, the Edinburgh University is organized into 3 colleges- Humanities and Social Science, Science and Engineering and Medicine and Veterinary Medicine. Wide range of courses in Scottish, Celtic and Gaelic studies are also available.